The Training Course was conducted by Ms. Aghadeer AL-NIDAWI, Director at Central Statistical Organization (CSO) of Republic of Iraq, with the participation of 15 officials of CBS of Sudan. As defined in the Classification of Statistical Activities (CSA Rev. 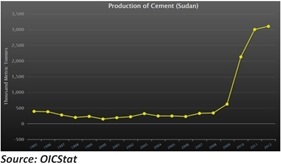 1 - October 2009; http://goo.gl/olg3Tz); construction statistics allow to assess the use and impact of specific industrial activities, e.g. steel, shipbuilding, and on construction, trade in specific products related to construction. The subject area “Construction Statistics’” is currently classified under the “Sectoral Statistics”, an activities category under the “Economic Statistics” domain.